Sydney Shop Girl: Because I Heard Ella Sing About Chowder. Game of Thrones. Because I Heard Ella Sing About Chowder. Game of Thrones. Ella Fitzgerald just has to sing a word and I'l remember it for life. My first memory of the word chowder was hearing it sung by Ella in a recording of 'A Fine Romance'. Ironically, I've been to North America several times in the years since and never eaten a bowl of what I understand is a classically American term for a thickened seafood soup. 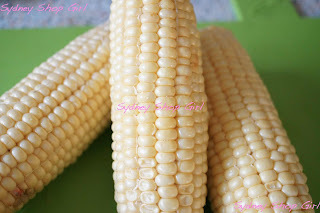 Thoughts of chowder came to me yesterday when I found these stray corn cobs in the fridge. Looking inside my fridge is one of my favourite things to do these days. It's only a short walk from the couch and it's so important to incorporate as much incidental exercise in your day as you can. Anyway, back to the chowder. 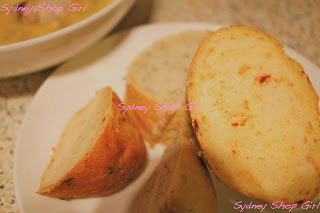 I used a really easy recipe from taste.com.au which I will link to here. I took heed of the recipe reviews which noted that the soup came out a little thin at times so I added an onion, more carrot and celery to the first stage. I also had some extra cooking cream on hand in case I needed to thicken the chowder up in the final stages. It really takes around half an hour to cook this chowder! 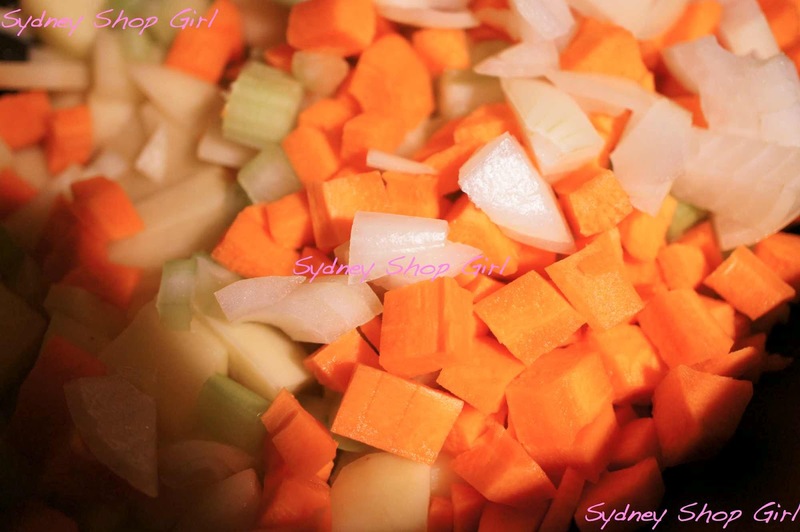 Begin by placing the chopped carrot, oinion, celery and potato in a large pot. Pour the stock over. Cover and bring to the boil. Simmer for around 15 minutes, or until the vegetables are soft enough to be pureed. When you reach that point, take the pot off the flame and blitz with your stick blender. The next step is to add your corn kernels, freshly cut from the cob. I always make a complete mess when doing this. No clean hands to take a photo of my effort, unfortunately. Simmer for the kernels in your soup for another 10 minutes or until the corn is tender. The final additions to the chowder were the marinara mix and cream. 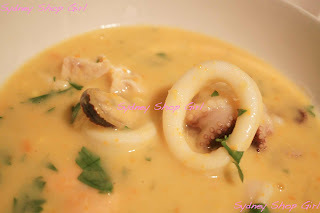 Turn the flame to low and add the seafood and cream. 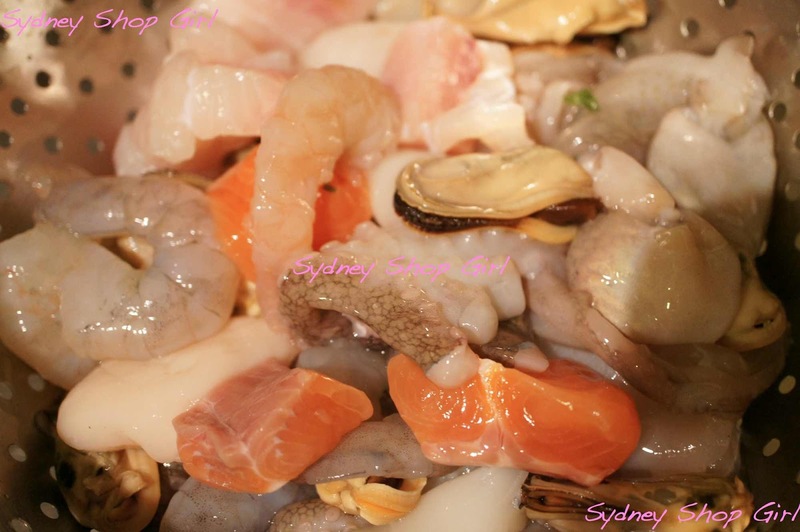 Stir continuously until the cream combines and the seafood is cooked. Take off the stove and then stir in plenty of fresh chopped parsley. I barely needed to season my chowder at all. For a cream based soup, it tasted to light and fresh. Courtesy of the parsley and all those veggies, I think. There's only one more thing you need for the table - plenty of crusty bread. I had plenty of leftovers and when I reheat some for lunch today, I'm going to add some an extra salmon fillet. Another find from my freezer. I was talking about my sofa earlier in this post and this is the reason I've been spending so much time reclining on it. I've just started reading A Game of Thrones, the first novel in George RR Martin's A Song of Fire and Ice epic fantasy series. I'm surprised at how much I'm enjoying it, to be honest. I was never a fan of fantasy fiction. As always, the reason why can always be traced back to childhood trauma. Was anyone else as scarred by The Never Ending Story as I was? 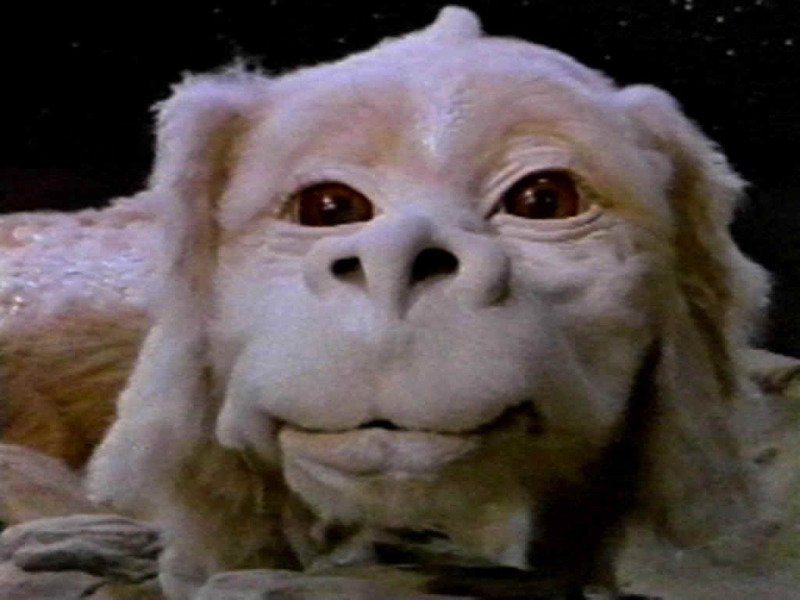 It was that strange doggy dragon thing. And the theme song. Anyway, are you a Song of Fire and Ice fan yourself? I've been using wiki articles to orientate me as I read because there seem to be a million characters each assuming the narrative thread. What interests me is the way Martin develops his characters and themes. Good and evil are often grey areas and the women of his novels are as complex as the men, each with their own agendas and ulterior motives. I am a huge song of fire and ice fan! And i dont normally read but these books are entralling - im midway through book four. As for the characters, youll get use to them. At the back of the books theres sort of a list/family tree of all the characters but as i read on my kindle i only found out after i finished the first book! I am not reading it but watching it. I watched season 1 last year and now halfway through season 2. You are not alone. I am still confused by some of the characters and how they all fit in. I need to go back and watch the 1st series again. It's very addictive. I'm reading the books after the season has finished so as not to spoil the plot lines for myself. My husband is watching with me, and is constantly asking 'who's that?' 'Who's that?' 'Is that Robb?'. I've take to introducing each character for him as they walk on screen. So I totally sympathise with the mass of confusion with all the different characters. I found the TV series is rather faithful to the books, so if you get too confused, then watch the show. I haven't read the books yet but am completely addicted to the show. Just waiting for the latest to download. Its definitely not something I didn't think I'd be into, but there you go. In a strange order for me I've watched the series before I read the book. I've heard so many comments about the difficulty of keeping all the characters in mind I'm hoping that it will help. Can't wait till I have some free time to read. The bride is very wrap up in GOT and it has all the elements to drag me in, I have *just* been able to resist. For the moment. The chowder looks fantastic! There are many recipes that have been spotted here and tried out with our crew!